A Nurse Practitioner (NP) is an experienced Registered Nurse (RN) who has completed advanced degree level education and training in the diagnosis, management and treatment of both physical and mental health conditions. Nurse Practitioners can provide appropriate assessment and treatment of common medical conditions and chronic illnesses, using a combination of nursing and medical skills. Nurse Practitioners can see patients of all ages, offering individual care that focuses on patients’ conditions as well as the effects of illness on the lives of the patients and their families. These skills enable them to diagnose and treat common illnesses. Lindsey joined the practice in 1995 following a career in central banking. In 2001 Lindsey qualified in Primary Health Care Management at the University of London and is a member of the Association of Managers in General Practice (AMGP) and the Institute of Healthcare Management (MIHM). 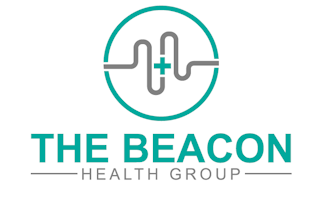 Lindsey is the Business Partner of the Beacon Health Group Partnership having specific responsibility for the business, service development and innovation along with the strategic progress of the practice. The community nurses attached to the practice offer nursing treatment to the housebound, those recently discharged from hospital and support to carers. These visits are normally arranged by the hospital on discharge or by the doctor in other circumstances. They can be contacted on telephone number 0300 003 1902 where you may leave a message in their absence from their offices or, in more urgent cases, by contacting our reception team for a message to be relayed to them. The health visitors may be contacted on telephone number 318300 where a message may be left in their absence. Our counselling services are available by referral from your doctor, for help and support with emotional difficulties, bereavement or other life crises.